You might think it seems odd that we have a LGBT+ Party Page? Because surely all our parties are available to all genders, sexualities and humans. And you’re absolutely right! Just recently in fact, we had a party surprise their Groom with a Buff Butler and Bubbles party – and boy did he love getting down to Beyonce with his buff! 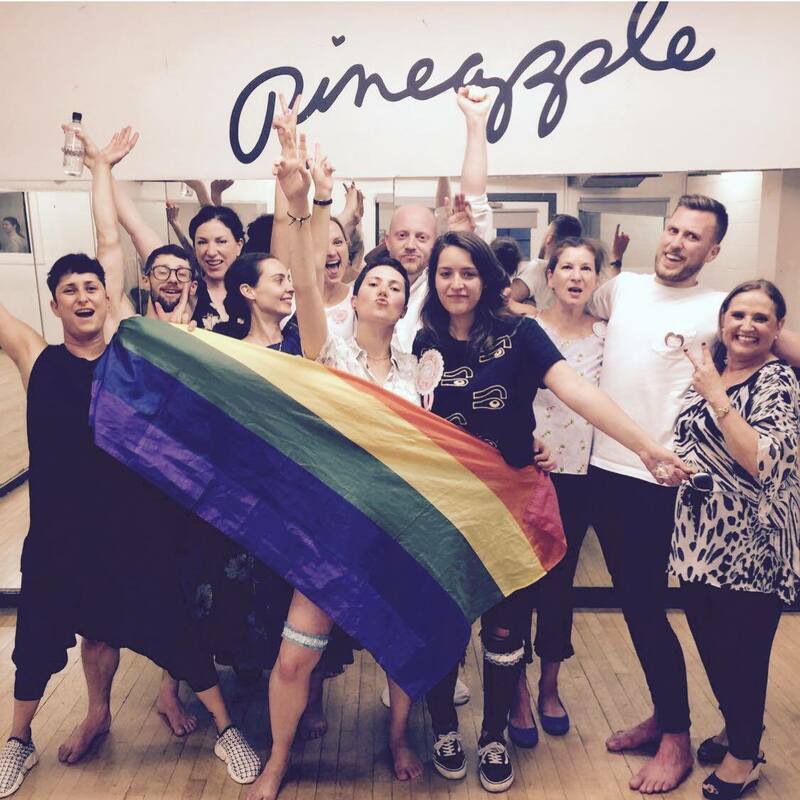 We created the LGBT+ Party Package simply as a response to the growth we had in emails, enquiries and telephone calls asking us if we catered for gay men, lesbian women, transsexuals and anyone who doesn’t conform to social norms. And the answer is YES WE ABSOLUTELY DO! Dance Party Experience believe everyone should be living their best life. Everyone loves to LIVE dance and sing to their favourite anthems – and no-one should be denied their opportunity. And whilst in 2018; the rise in our gay, lesbian and tran hen parties are clearly a result of achieving equal marriage in the UK (WOOP WOOP) – across the Globe there is still plenty more work to be done. So we think it’s important to proudly support the LGBT+ community. Especially LGBT+ Rights and Marriage. Your Dance Party is held in your own private dance studio, free from outside judgment. So book your Bride and/or Groom a dance party for their hen/stag/sten/hag weekend and let them release their inner super star! The UK is home to some of the best LGBT+ bars and clubs in the world! All of the major cities where we host Dance Parties have a rainbow bar. So whether your party weekend is in our top trending cities like London, Bristol, Bath, Brighton, Manchester, Liverpool, Birmingham or Edinburgh. We’re confident they’ll be blasting all the gay anthems from Queen B, Rihanna, Madonna and Britney. So where better to flaunt your new dance moves than these party palaces. But to celebrate the rise in LGBT+ Hen and Stag parties. We wanted to create a Dance Party Experience that was inspired by the gay community for the gay community. Ru Paul’s Drag Race is the global TV phenomenon that just keeps on growing. And everytime it grows… it gets that little bit more sparkly too! The Emmy award winning show has made world famous superstars out of it’s Drag Queen contestants and has welcomed A-List guest judges like Lady Gaga, Christina Aguilera, Ariana Grande, Demi Lovato, Debbie Harry and many many more. But Ru Paul’s Drag Race is so much more than a televised Drag Show. It’s a show that celebrates uniqueness, individuality, self-expression and love. To quote Mamma-Ru herself, “If you don’t love yourself, how the hell you gonna love somebody else can I get an A MEN?” AAAAAAMMEEENNNNNNNN!!!! 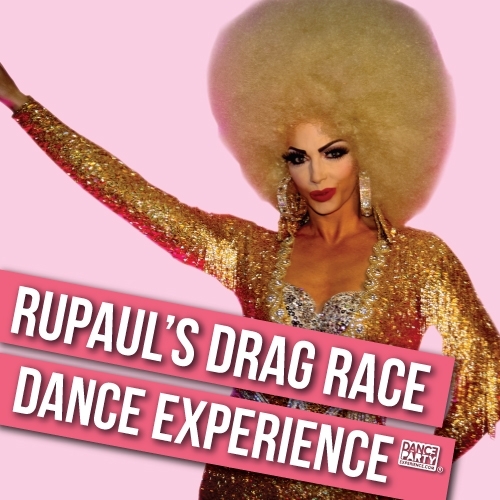 Our Dance Experiences are all about empowerment, having fun and losing your inhibitions, so what better theme encapsulates this moto than a Ru Paul’s Drag Race Dance Party Experience. Did you know that one of our Dance Party Teachers was on the European tour or Pricilla Queen of the Dessert? Weerrrkkkk Kween! PPPSSSTTT – TOP TIP – why not make a weekend of it? 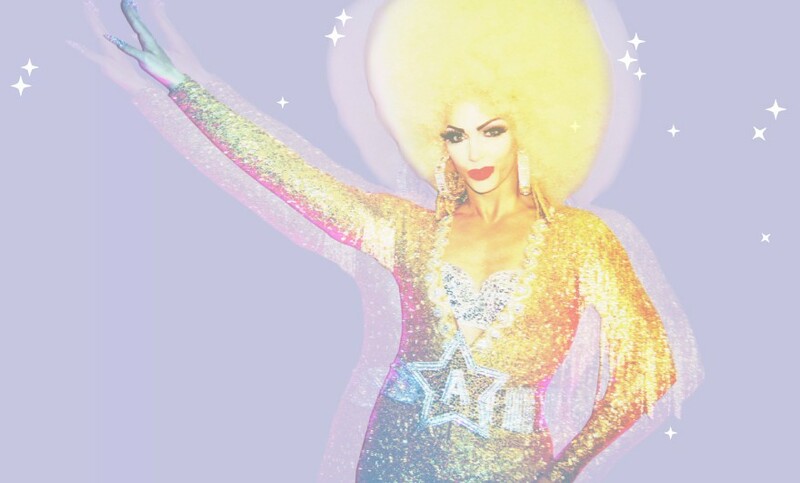 These Drag Superstars are constantly touring the UK! Check to see when the Ru Paul Queens are in town – book yourself a Ru Paul Dance Party followed by a Ru Paul show! HALE-LOO! What would be more fabulous than learning how to slay the catwalk with finesse and sass before heading down and watching the Queens in action?! ?